A Doctor PNG clipart made in a flat style. 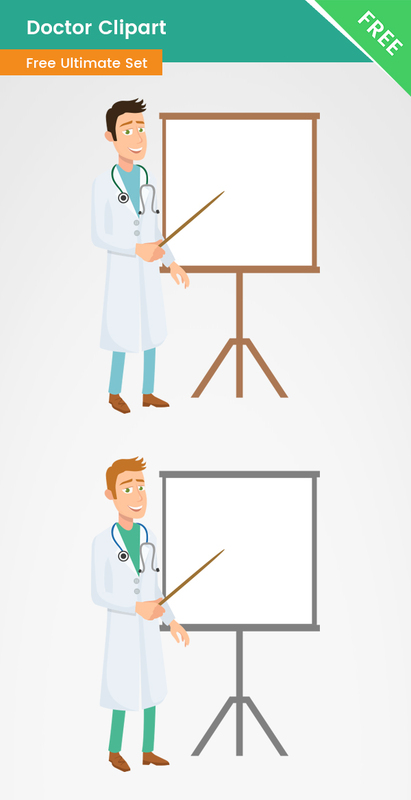 This free illustration of a male doctor holding a pointer at a whiteboard is the perfect addition to your healthcare project. Our character is made of vector shapes but if you are not familiar with the vector-based software, you can use the transparent PNG file. In the download .zip archive you will find PNG, AI, and PDF files.